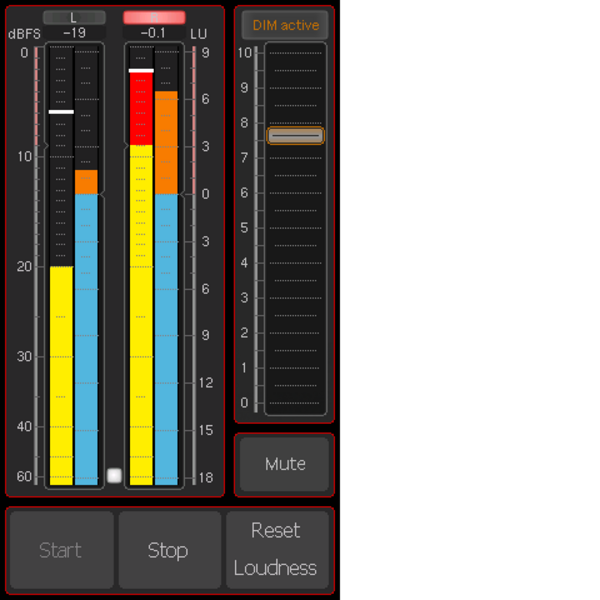 Firmware version 4-00 for TM3-3G Smart released: This service release includes improvements and expansions of existing instruments and is available for download in "Audio Monitors/TM3-3G Smart" section at members area (Manuals & Software). 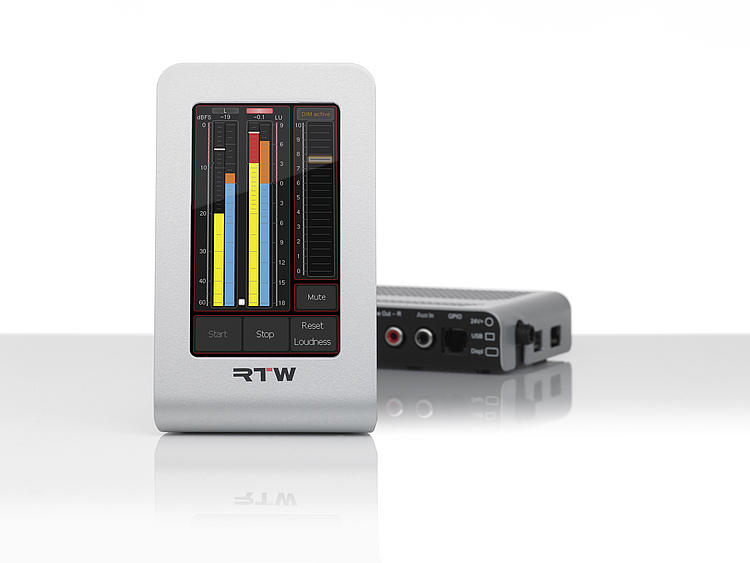 The TM3-3G Smart with full feature set is a compact and versatile out-of-the-box solution for metering, deembedding and monitoring of 3G-SDI audio signals using a 4.3“ touch screen for vertical or horizontal use. 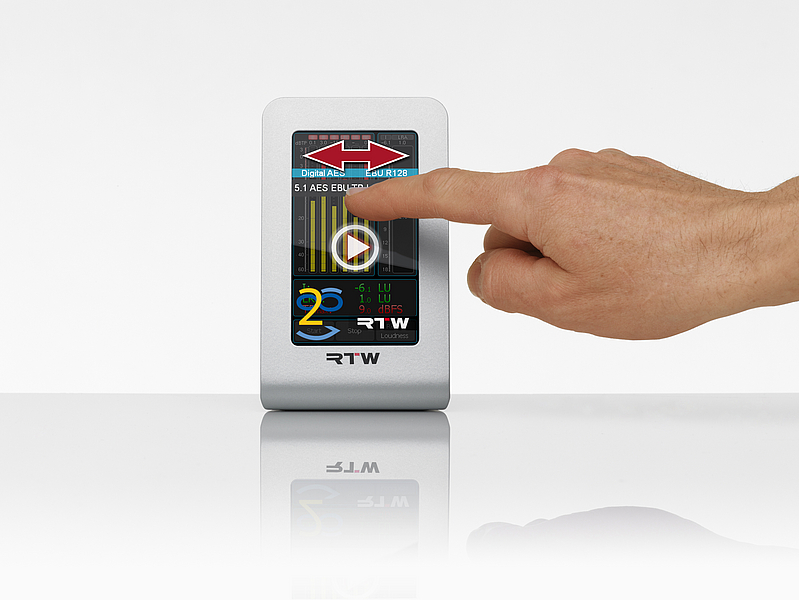 The TM3-3G Smart‘s flexible user interface allows for quick and simple preset selection as well as setting the monitoring level. 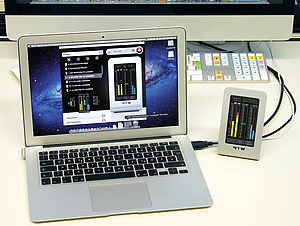 For existing units the firmware is available for download. See the Audio Monitors/TM3-3G Smart section of members area (Manuals & Software). 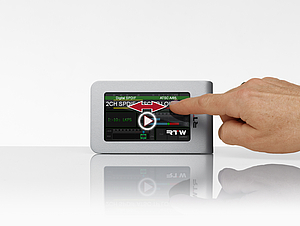 The TouchMonitor TM3-3G Smart (TM3-3GS) unit consists of a display with fixed cable for data exchange and supply voltage, a remote 3G-SDI interface box with processor and connectors, expanded software, and a mains adapter. 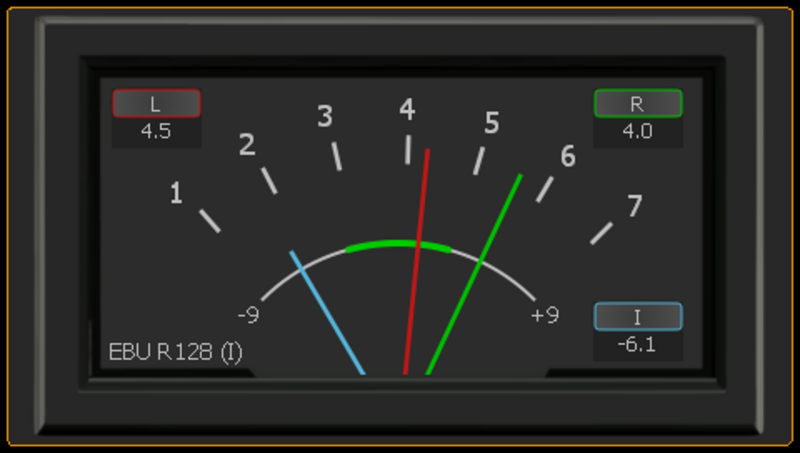 This example shows in horizontal orientation the combined PPM and Loudness mode (BBC mode) of the Moving Coil instrument. 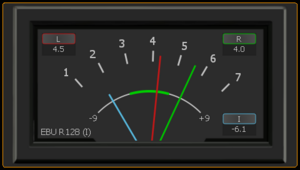 On this instrument, a third, cyan-coloured needle below the needles for the stereo signal shows one of the three summed loudness values M, S, or I on a separate scale. It is helpful for the intuitive display of loudness being on target. TM3-3G Smart may be operated in horizontal orientation. Swipe vertical across the display of the upright standing unit and counter-clockwise rotate it. 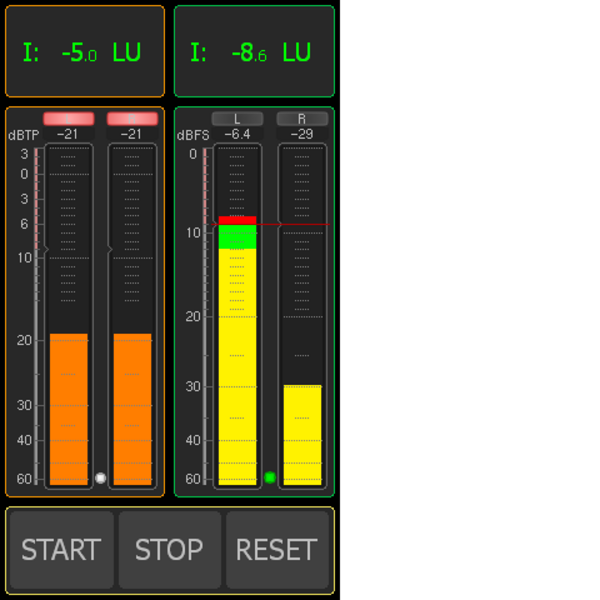 Then you also can scroll through the available presets with horizontal finger swipes and select the one you need. 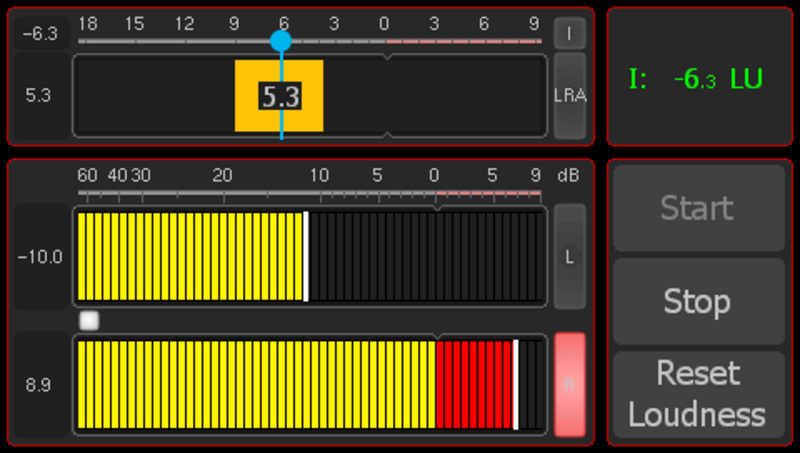 Just touch the "Start" button to load and activate the preset for horizontal operation. 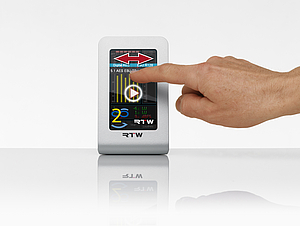 The TM3-3G Smart recognizes the wipe orientation (lengthwise or crosswise) in order to switch between vertical and horizontal display modes. It doesn‘t use a motion sensor for this. 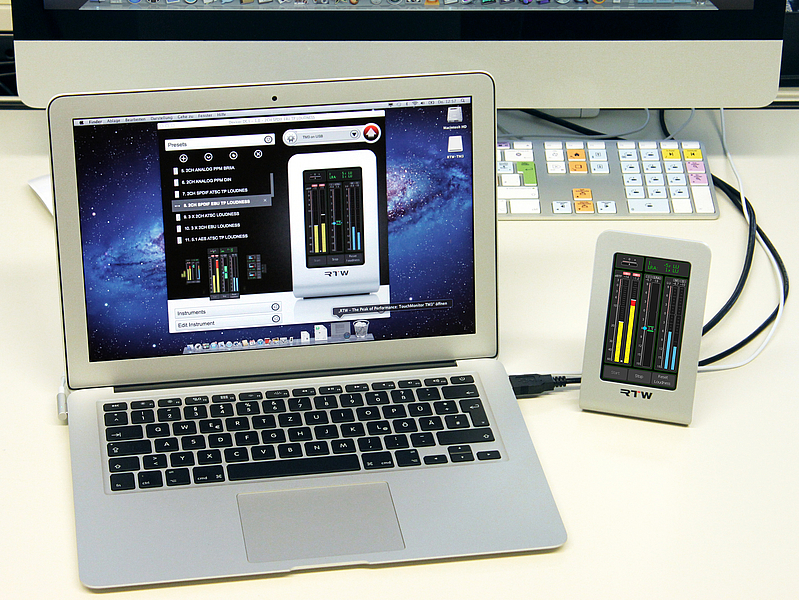 With Devicer DC1 software for Mac OS X® and Windows® the existing presets may be adapted to individual needs. 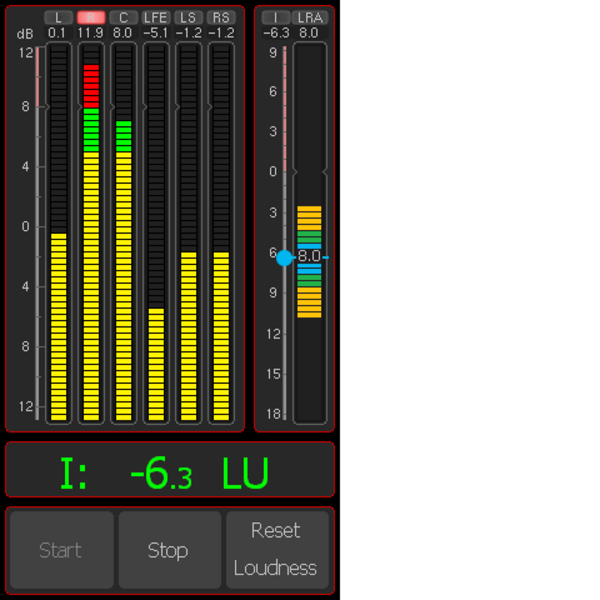 All settings are made with the software on the computer screen. An animated preview is also displayed. After being uploaded to TM3-3G Smart and being activated, the adapted presets are available for operation.